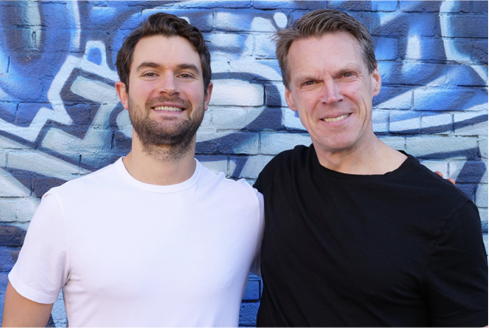 Halifax-based Beyond Food Inc. has closed a $1 million funding round to help it launch its system that will convert aging supermarket produce into a powdered food supplement. The company issued a press release this week saying it raised the money from a range of investors, including several National Hockey League players. The company’s website shows that it plans now to develop its first Zero Waste Pod this month and to launch its first partnership with a national supermarket chain in April. The company was formed two years ago with a core of sports and health enthusiasts. Its mission is to reduce food wastage, which now amounts to $31 billion a year in Canada alone, by finding supermarket produce that is about to be tossed out and using it to make a nutritional food supplement. It sells nutrition products under the brand TDF Sports. Burke is a serial entrepreneur, who sold his previous company Rivalus Sports Nutrition, Inc. in 2013. He linked up two years ago with former NHL forward TJ Galiardi to plot a business that would develop a product from food that would otherwise be wasted. The management team they assembled includes First Angel Network Co-Founder Brian Lowe, who previously held senior positions with such Halifax companies as Immunovaccine Technologies and ABK Biomedical. They learned that a huge cause of food waste is grocers discarding produce that is unsold at its expiry date. Their solution is the patent-pending Zero Waste Pod, a modular facility about the size of a shipping container. It can process aging fruits and vegetables into a fine powder that can become an all-natural, nutritious ingredient in food manufacturing. She added the company – which employs 20 people – is planning partnerships with “major national and international” retail chains in the coming months. To finance the growth, Beyond Food has received investment from Truro businessmen Stu Rath and Jamie Bagnell. The investor group also includes pro hockey players Joe Thornton of the San Jose Sharks, Adam Lowry of the Winnipeg Jets, and John-Michael Liles of the Colorado Avalanche and Toronto Maple Leafs. Beyond Food had previously raised funding from friends and family in 2017 to get the company going. The company said the recent financing will help to expand the engineering and sales teams as well as develop new partnerships with key organizations, universities and grocers.